After semi-patiently allowing my bronchial infected lungs to recover, I’m now on the road once more. And it feels good, especially as I’m finally feeling close to full strength again – well, I will once my legs reacclimatise themselves to the rude awakening of a fully loaded bike again. 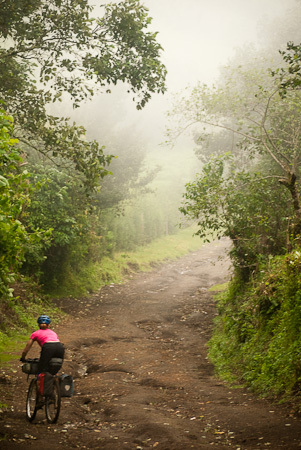 Aside from my unladen morning rides, this last month has been spent largely off the saddle and in the worshop of MayaPedal – broken up with a stint of jungle trekking to El Mirador, up north in Guatemala’s forest enshrouded El Peten district. And I have company too. Cara is a fellow dirt road enthusiast, and will be joining me for the next month or so. We’re already shared many a far flung biking adventure together – India, China, Laos, Cambodia – so there promises to be some great times ahead. 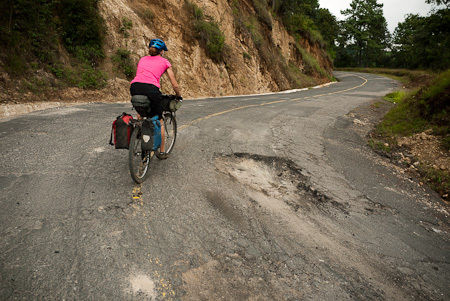 Our loose plan is to ride a loop of the lush yet relentlessly rolling Guatemalan Highlands, seeking out a recipe of quiet unpaved roads, remote indigenous villages and handmade tortillas along the way. The only fly in the ointment is my impending need to renew my Central American visa – unbelievably, I’ve been in this country almost 3 months with barely any southerly progress. 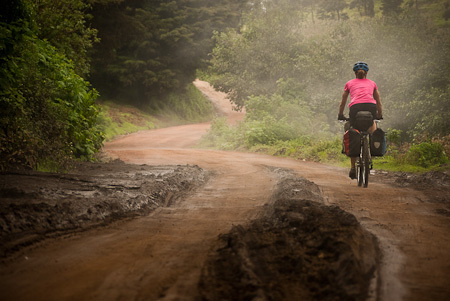 And of course, we’ve had to resign ourselves to the sunshine/drizzle/downpour weather triptich that charaterises the height of the rainy season – potentially making for some mucky, gloopy ride conditions and soggy camping. Cara fine-tunes the Moongoose Alta she bought from MayaPedal. Forget those $2000 luxury tourers. 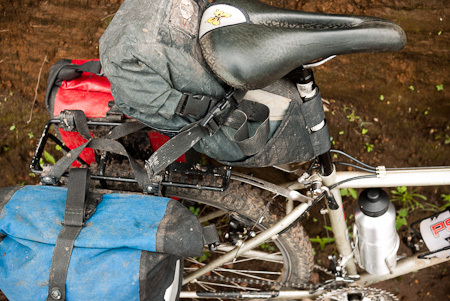 A hundred greenbacks gets you a fine, mid ninetees steel hardtail, perfect for taking on the Guatemalan backcountry. Weaving our way round the water snakes that streak across the rainy season roads, just waiting to grab a tyre and send you flying. Leaving San Andres de Iztapa. 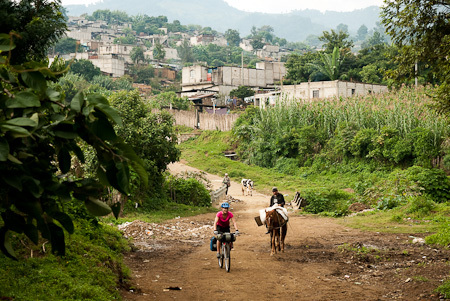 Our bicycles rubbed shoulders with horses, as farmers headed out to their corn fields. Idyllic riding, though note the pile of rubbish on the edge of town. This is Guatemala, after all. The climbs here can be brutally steep. And long. Misty riding. 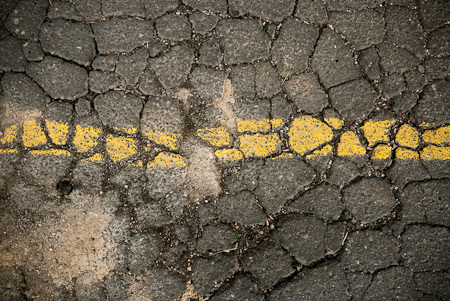 We’re aiming to follow dirt roads where we can, away from the Chicken Buses that hurtle round the highways. 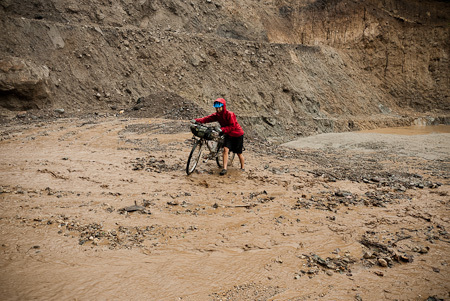 The rainy season, complete with marauding hurricanes that sweep in from the Caribbean and their accompanying, all-destroying landslides, means that sometimes there's not even a road at all. This entry was posted in Guatemala and tagged Guatemalan Highlands on August 25, 2010 by Cass Gilbert. Nice to see you back on the road making the rest of us jealous. I’ve just been pottering around English lanes this year, no bad thing in itself but this site is giving me the itch again. That chick looks familiar, you two should get it together, Aaahr Aaahr!! Looks like quite a trip! Hope the hurricanes don’t come your way. I can’t wait to see the pics. Thanks for the comments guys (easy, Mr Gibbons!) Just been out kayaking on the lake. Pouring now… Big ride planned for tomorrow. Also glad to see that you are on the move again! Enjoy your new things. How are all the old things BTW?